There is no freaking way if these are 3rd party mods. What do you mean 3rd party mods. Also anyone that could help would be appreciated I am trying to upload to curse however I do not know how to create an image the "The image must be a 1:1 ratio and a minimum of 400px by 400px" Any help would be appreciated. I know. Its been problematic lately. Real Life has to come before this modpack it will hopefully come out tomorrow. 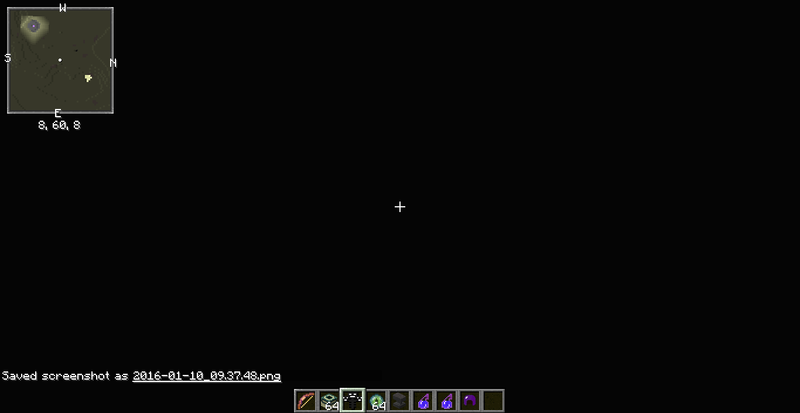 It will be released within the 2 hour mark but I have run into a problem this is what the void dimension looks like. You didn't reload. The Void for some reason doesn't render until you reload the world. Also, wait until 0.24 comes out. Cause it's coming out today. Ok I will wait until .24 comes out. what will be in it. As you can see I posted the screenshots for the new update. I forgot to put up a screenshot of omegafish for whatever reason so I fixed that to. 0.24 is released! Come check it out, cause the Wither Turret got a complete make over. Also, new enchantments have been added for the turret. -Dalek Mod- Can now craft tardises, tardis blocks, sonic screwdrivers, dalekanium armor, brass, and more. Time for a competition Show everyone your skills and post a screenshot of your base/house/build that you have made using modded blocks in this modpack. The 3 winners of the best build competition will have their build posted on the front page with credits and get a beta version of all future updates. No Rules, Remember it can be anything. I am remaking this competition because I didn't get any entries last time. I feel more people are playing the pack now just give me a screenshot of your base and it will be on the front page. Could I please have the full crash report. OpenGL: AMD Radeon HD 6550D Graphics GL version 4.1.11079 Compatibility Profile Context, ATI Technologies Inc.
Did you copy the config folder into your .minecraft config folder. Ye, will try out this one later. Thanks its a great pack I hope you like it. Whoa! Don't do this until 0.3 of the Titans is released! There will be new Titans added on that update, and most will spawn in the Nether. This sound really cool, though! A little suggestion 0.3 should focus on re balancing to make it more compatible with modpacks. About the update, I will not be satisfied if a Giant Blaze does not rapid shoot fireballs at me. Also add the obsidian ghast from better vanilla that would be a cool boss. If I do not get something that rapid shoots fireballs I will not be satisfied. Also it may not be a terrible idea to work on balancing features in the 0.3 update.